Buy Fort Swag and Gift Cards! CAMARADERIE. GUTS. FUN. TENACITY. ZEST. Drew’s goal is to create individualized programs using current research and to set an environment where Fortitude’s clients and athletes want to motivate themselves from within. He is driven by his passion to help others reach their potential no matter their obstacles. Drew specializes in movement analysis to prevent injury, and has a background in orthopedic rehabilitation to help clients post injury. He trains clients of all ages and abilities and draws on his background in football development, distance running, golf, skiing and snowboarding when training athletes to perform their best in their sport. Drew is a Certified Strength & Conditioning Specialist through the National Strength & Conditioning Association and holds Bachelors and Master’s degrees in Exercise Science with a concentration in Injury Prevention & Performance Enhancement. He is also a Certified Performance Enhancement Specialist through NASM, a Certified Speed & Agility Specialist through NASE as well as Certified Burdenko Method Instructor. 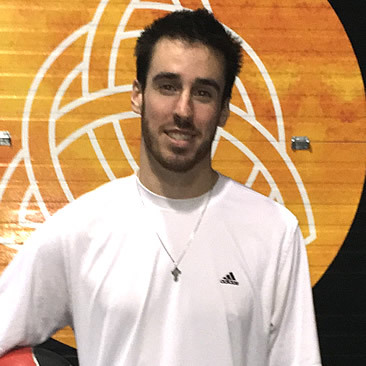 Drew worked with a variety of team athletes while volunteering as an Assistant Strength Coach at St. Anselm College. In his free time you can find Drew outside snowboarding, hiking or playing golf. Sign Up Here to Receive Updates, Health Tips & More Fortitude Freebies! Over 15 Fortitude reps volunteered their time, energy and muscle to help Families in Transition with their Hollows Community Garden. NH Business Review has selected Lisa to receive this esteemed award to recognize her professional accomplishments, leadership and vision. Just a few spots are open for our Resolve small group training sessions starting November 13th. These 6-week sessions will get you in amazing shape before the holidays hit. YOU CAN DO IT! Click here to sign up for Resolve today. Free childcare Monday through Friday from 8:45 to 10:00am and Thursdays from 4:15 to 6:45pm. Click here for more details and to sign up. Buy Fort Swag & Gift Cards!